Looking for sports books? 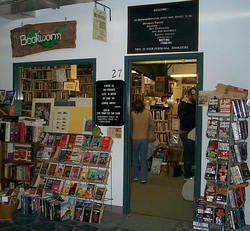 Biblio.co.nz hosts hundreds of of the finest online book stores and booksellers, including specialists in sports. Use the list below to locate a specific specialist bookseller or book store near you. Or, use the form below to search the inventory of all booksellers who specialize in sports. 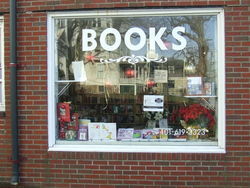 We are a general independent bookseller in Central California and have 20 years experience in the book industry. 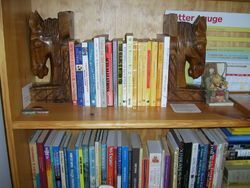 Our inventory includes books in all categories, but specializes in Cinema Books, Popular Music Books, Sports Books, and Art and Photography Books. We are Lancashire based booksellers specialising in Modern First Editions,Childrens,Sporting and Military Books in Very Good to Fine condition.In addition we have two large bookrooms with over 16,000 titles.You would be most welcome to come along and browse through our stock.Please search through our inventory of books,which are at very competitive prices,and payments can be made easily through our business here in North London as we accept all Major Credit and Debit Cards as settlement.Shipping:We ship Internationally by Air-Mail 7-14 days or Surface Post delivery 3-8 weeks or within the UK either 1st or 2nd class or for larger items by Parcelforce.Please note that all books are fully insured at no extra cost to you the buyer,and all have return address labels applied to shipments.